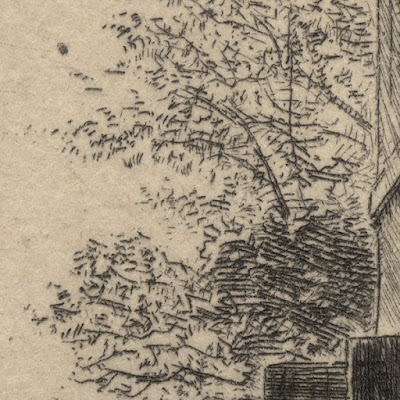 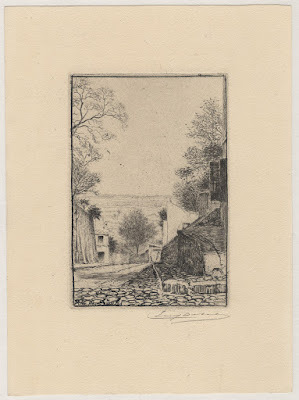 Etching on cream laid paper, pencil signed by the artist, backed with a support sheet. 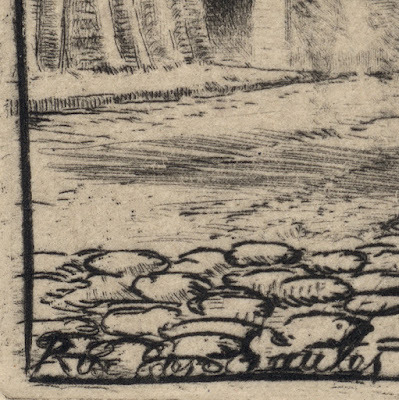 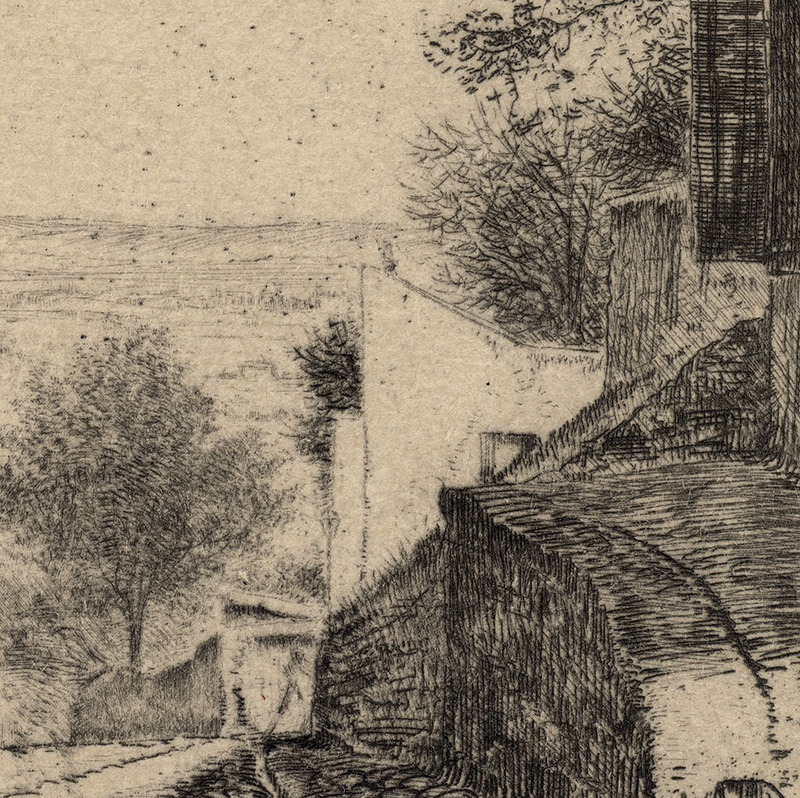 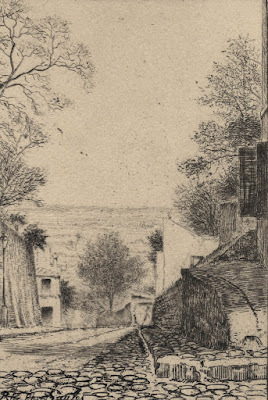 Inscribed on the plate at lower left corner: “Rue des Saules”. 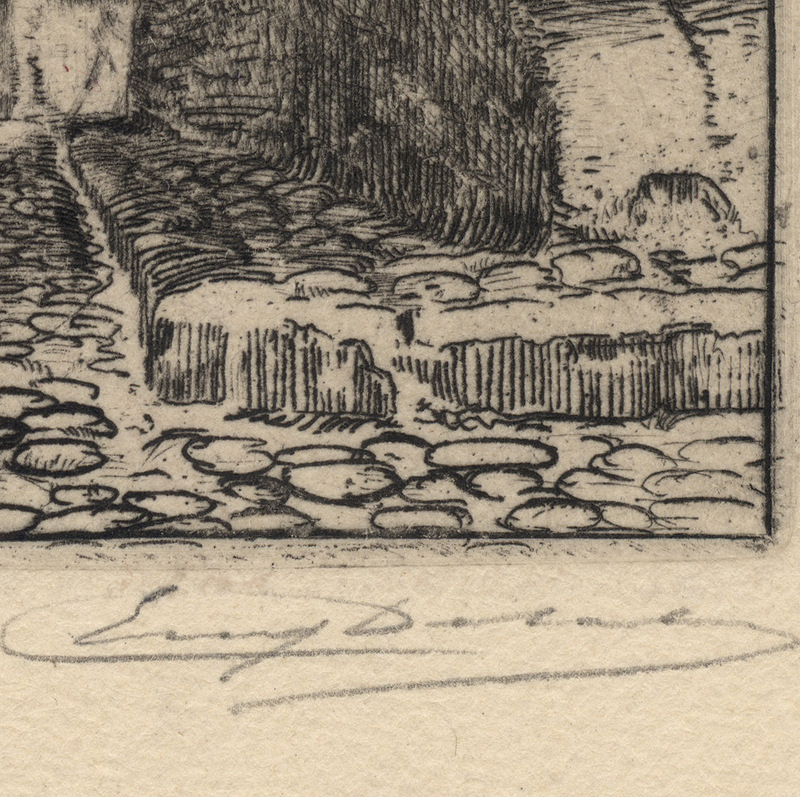 Signed in pencil at lower right below the platemark. 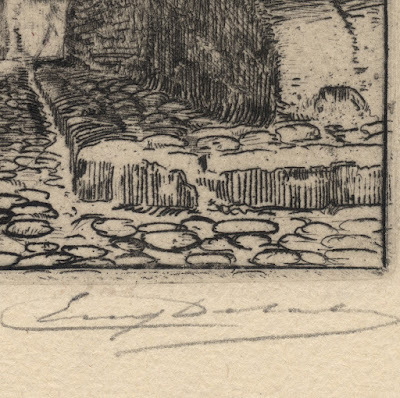 Condition: crisp, near faultless impression in museum quality/excellent condition, signed by the artist. 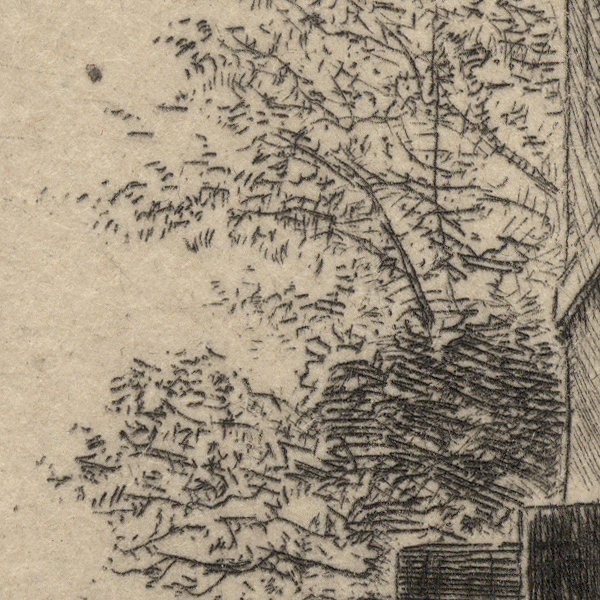 The sheet is laid onto a support sheet of archival (millennium quality) washi paper. 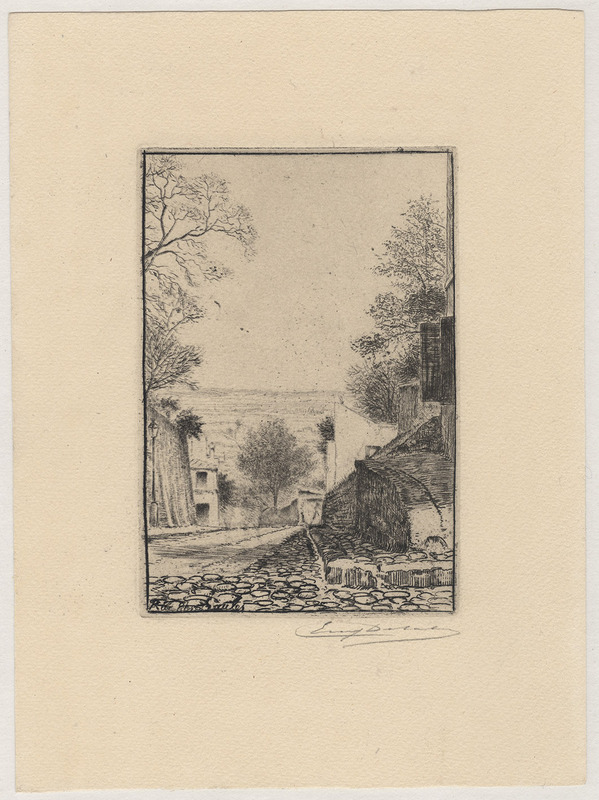 I am selling this poetically charged etching of a street view in Montmartre (Paris) by one of the key artists in the revival of colour etching at the close of the 19th century for AU$214 (currently US$155.79/EUR137.42/GBP119.73 at the time of this listing) including postage and handling to anywhere in the world. 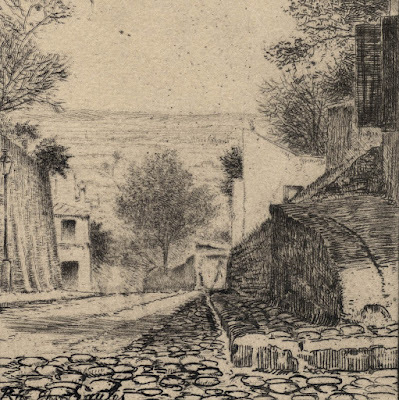 If you are interested in purchasing delicately subtle rendering of a Parisienne cobble-stone street, please contact me (oz_jim@printsandprinciples.com) and I will send you a PayPal invoice to make the payment easy.